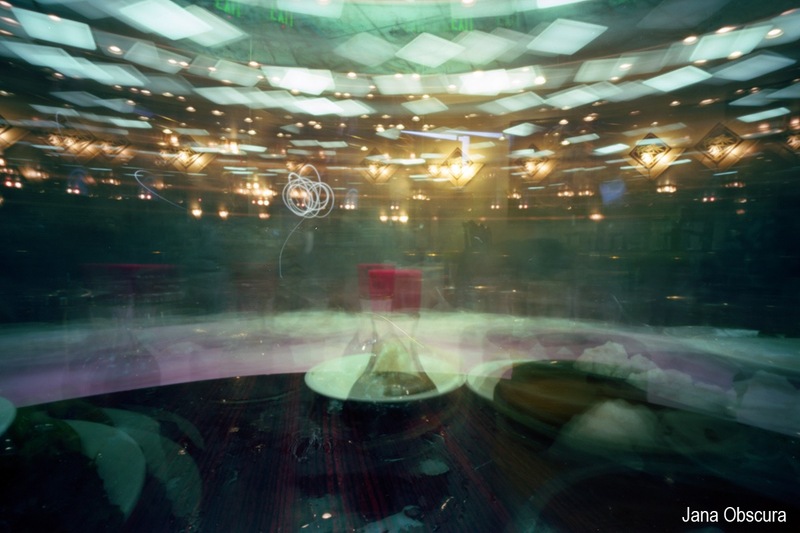 Today we’re excited to bring you our interview with Jana Uyeda, AKA Jana Obscura. You can’t get very far in the pinhole world without crossing her path in one way or another. She is a vocal proponent of the pinhole format on social media as well as on the podcast she co-hosts, The Pinhole Podcast (archives, Twitter). Read on to learn about her vision in pinhole, how she built community around pinhole, and get introduced to anamorphic pinhole. Afterwards, be sure to check out her website, Instagram, and her Flickr page for additional pinhole and other photographic goodness. How did you first come upon the world of pinhole photography? What convinced you to stay? I learned about pinhole photography through Jeff Soderquist who purchased a Zero Image 2000 at Blue Moon Camera in Portland. There were also a number of pinhole groups sharing images on Flickr and I was inspired by the wide angles, the distortions and the unique character of pinhole photography. At the time I was experimenting with film and plastic cameras but when I saw the possibilities of pinhole, I got hooked. You often accentuate perspective in your pinhole photos. Is this intentional for your pinhole work? Or subconscious? I would say it’s due to necessity, or maybe it’s a necessity due to my laziness. I rarely carry a tripod with me, in fact it’s one of the reasons I enjoy pinhole photography. The cameras are smaller, light weight and I don’t need a lot of gear to shoot. I also don’t carry light meters or paper or notebooks either, I just bring my camera, film and a mini tripod. This means I spend a lot of time shooting from the floor looking up or using flat surfaces as a makeshift tripod. It is also my experience that many places don’t allow tripods, so my use of floors and handrails means I’m capturing extreme perspectives. What other aspects of pinhole do you find yourself trying to exploit? My first experiments focused on stillness and movement. 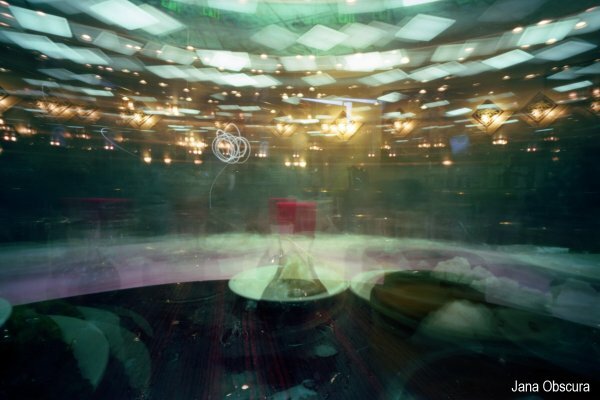 Since pinhole is a longer exposure, I was looking to frame motion within a motionless environment. A passenger standing against the rails on my water taxi commute, plates on a lazy susan at a dim sum restaurant, shopping carts at Costco and flags waving in the wind. It was challenging because I had to be very aware of the exposure time and my subject. If the exposure time was too long, the subject in motion would ghost out of the image entirely. Subjects ghosting out are exactly why I started experimenting with what I called multi-lapsing – multiple exposures timed when people were in almost the same place to build up one exposure. Which reminds me, I need to do more of. 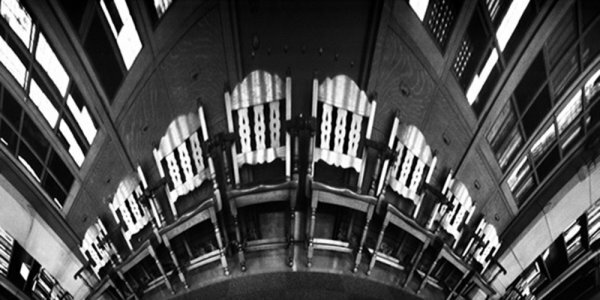 What do you feel the challenges of pinhole add to your creative thought pattern? Do you find anything you’ve learned in pinhole changing how you shoot in other formats? I think the challenges of pinhole make me more adventurous. I know there are elements I cannot control and I cannot always anticipate how much the final image will capture, even if I know the angle of view for my camera. 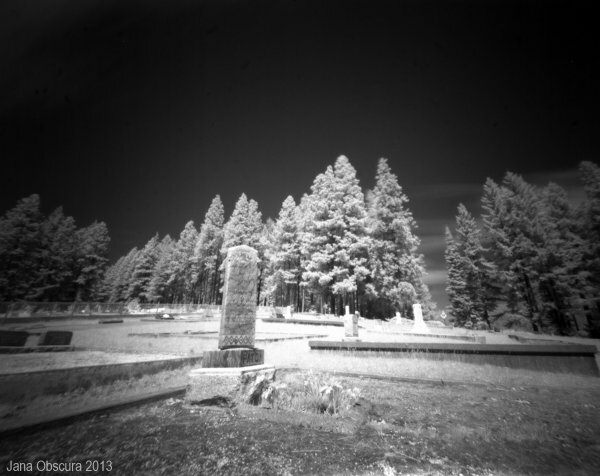 There were a few months when I experimented with infrared 4×5 pinhole which I thought would be insane and it turns out, it was insane – in a good way! To your other question about pinhole changing how I shoot other formats, I can genuinely say I’ve become a dedicated medium format shooter since I started with pinhole photography. When I shoot with my Rolleiflex I find myself using that lower angle to emphasize perspective, something you noticed from my pinhole work. I’m realizing that perhaps I’m more comfortable with the Rolleiflex because the TLR allows me to shoot from a lower angle. In my photography school I’d worked with 35mm almost exclusively, but since I started shooting pinhole I’ve made investments in developing and scanning equipment. I have a workflow based on 120 film now. As if pinhole photography isn’t obscure enough of a photographic form, you tend to work quite a bit in anamorphic pinhole. For the folks who are interested in anamorphic, what do you feel are the best subjects to start shooting anamorphic and learning the format? Thanks for the reminder, I need to shoot more this summer. For those interested in anamorphic pinhole, I would recommend looking for straight, horizontal lines to learn about exposure, angle of view and how to work your camera. Anamorphic is a lot of fun but it takes a few rolls to understand how to position the camera and expose it correctly. Underexpose and your image will have dark bands with no shadow detail. Overexpose and the image will have blown out bands where the light hits the film plane. I have been most successful with BW film but there are so many talented photographers doing amazing work with C41. I started shooting fences and rows of books in the library which helped me “see” and then I tried shooting more deliberately for that anamorphic bend. 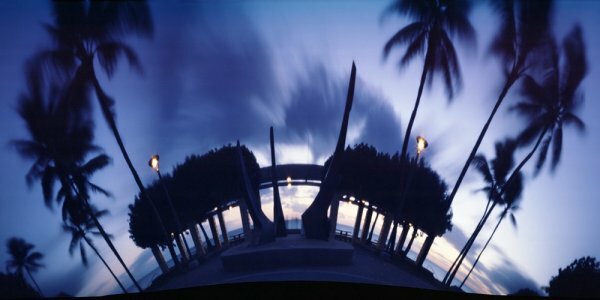 Is there any subject matter that you try to shoot with pinhole and just can’t seem to get the shot? Why not? Sunlight and sunbeams. This isn’t a big deal since I live in Seattle, but when the sun comes out and I point my camera in that direction I get crazy light sprays across my image. 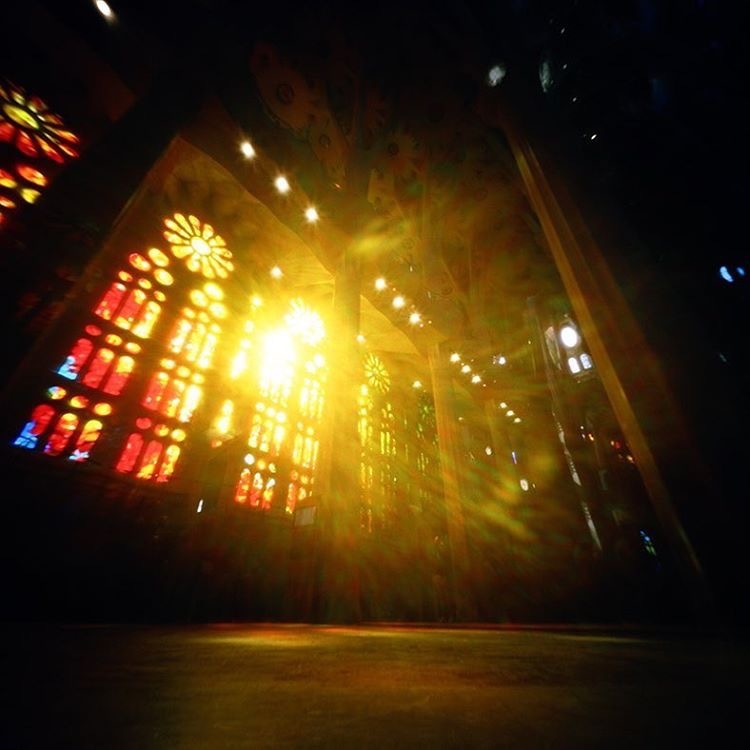 There are pinhole photographers who do gorgeous work with sunlight and it creates this lovely rainbow of light on their image. I just can’t figure it out. I hear ya – I lived in Seattle for a couple years and from November through June the sky in particular can be a real challenge. How does your creative process tend to flow? Are you looking for something in particular? Or do you come across something that seems interesting and try to find how to shoot it? I look for interesting subjects that I can really get close to. 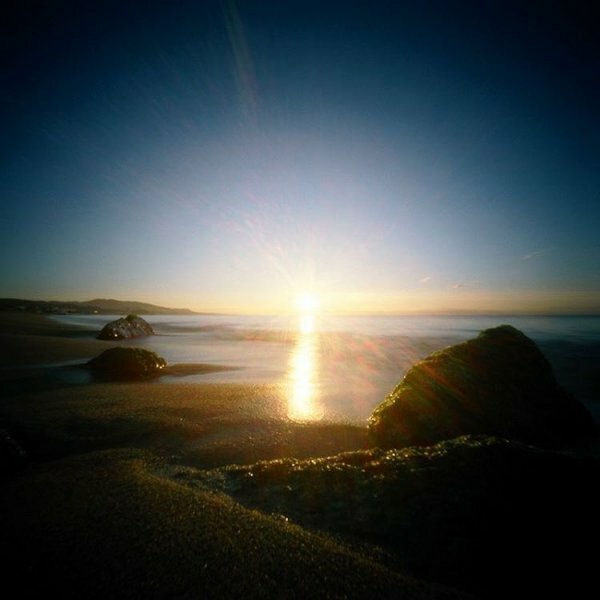 Since pinhole has such a wide angle of view, I feel I lose too much detail when I shoot a broad landscape scene. When I shoot sunrise shots near the water I look for rocks or other items of interest that I can incorporate in the foreground. If I’m shooting a carousel or flags on a boat I look for something stationary and often I’ll place something deliberately in front of the camera. When I’m travelling I let people fill the space because the shape of their motion is perfect. Maybe a good challenge to myself is to shoot broad, sweeping landscapes and find a new way to make those pinholes more interesting to me. I saw some Hiroshi Sugimoto prints in person recently and I’m inspired to shoot simpler. I’m going to try that this summer. Besides your personal photography, you regularly contribute to a number of other publications, help run Pdexposures, and co-host the Pinhole Podcast. It sounds exhausting! What was the least expected benefit from doing all this? The community. Connecting with like-minded photographers from across the globe is the most surprising and the greatest benefit. Beyond Worldwide Pinhole Photography Day there are postcard exchanges, meetup groups, gallery shows, DIY classes and art projects. Pinhole is not something I assume most people know about outside of their high school b&w photo class, but I feel there’s a growing trend towards embracing this form of photography. Social media plays a big part in bringing the community together, though I think most pinhole photographers also have stories about random interactions with a fellow pinholer in person. We’re weirdos and we’re out there and it’s awesome. Do you have any recommendations for people who’d want to start up a pinhole club in their local area? Yes, just do it! I met Todd Schlemmer through Twitter years ago and even though he lives in Seattle, I’d never met him until Twitter brought us together. He’s been building various 3D printed pinhole cameras and eventually started a meetup for local pinhole folk to connect. It’s been great. I get asked questions all the time when I’m waiting patiently for my exposures and I hope I’ve encouraged people to try pinhole. I usually end up chatting with a mix of film photographers, students, and creative builders then invite them to join us on our next stroll. 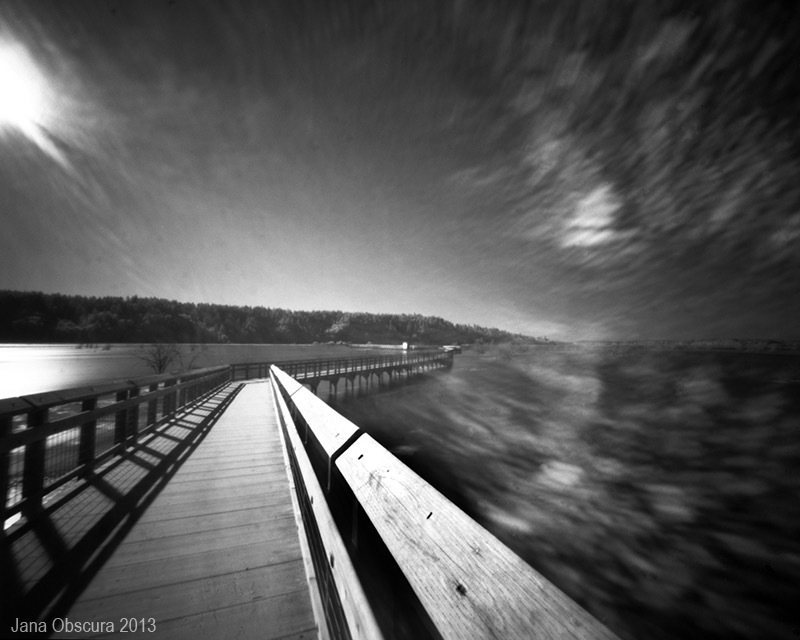 Blue Moon Camera in Portland does a fantastic job of promoting pinhole photography as well which sustains a network of artists in the northwest. So my recommendations would be, use social media, connect and join photography meetups in your area. Thanks Sheila! BTW – I had to remove the URL for your site from your comment because when I clicked on it, the Chrome browser warned me that you had malware on your site. Let me know when you get that fixed and I’ll turn your link back on.